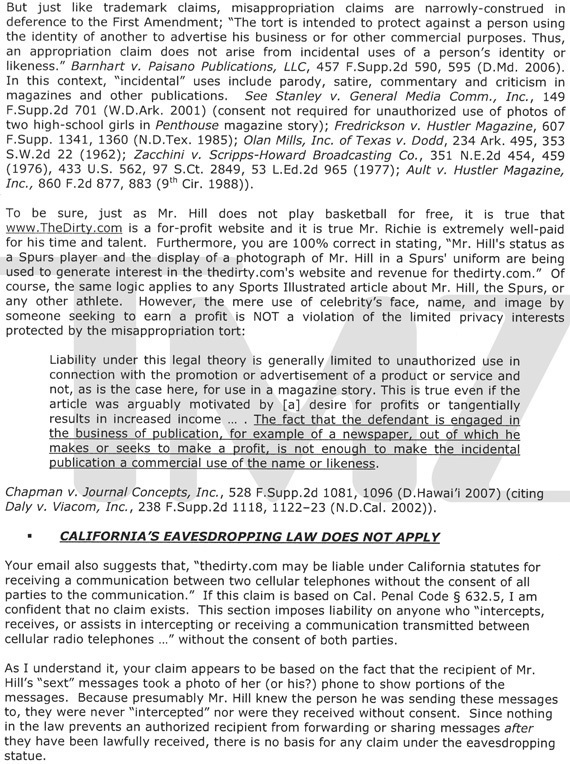 A lawyer for the Spurs sent the web site a letter claiming that "the photographs were disseminated illegally and without permission." 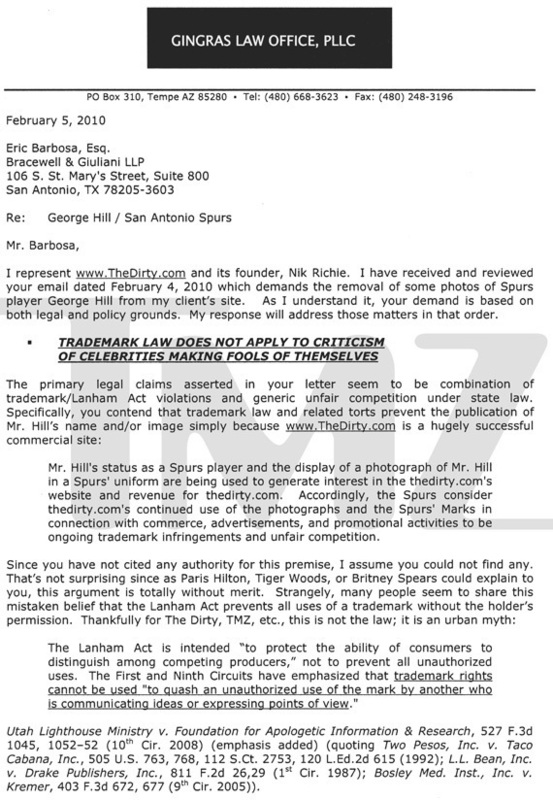 The organization "demand[s] that thedirty.com immediately and permanently remove the photographs and all references to the Spurs and the Spurs' Marks from its web site." Scroll down to see the full letter, which was posted at TMZ. 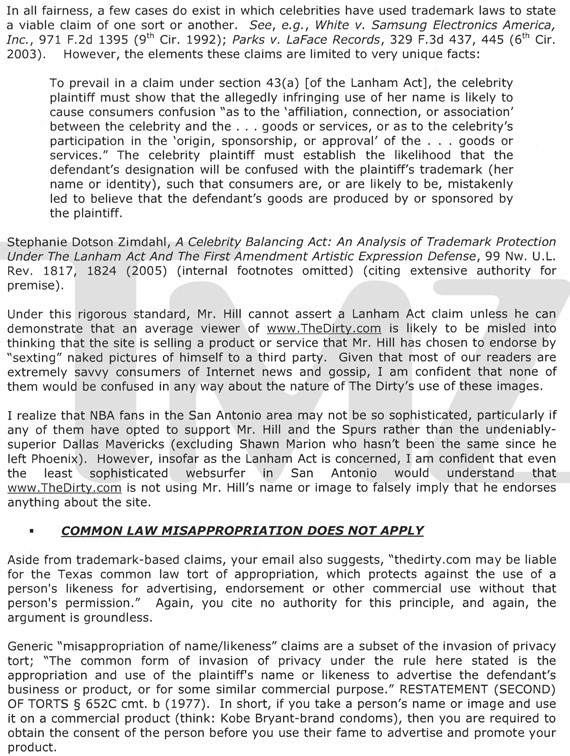 Unfortunately for the Spurs and George Hill, a lawyer for TheDirty.com shot back, dismissing a Spurs argument as "totally without merit" and calling the team "not so sophisticated" as TheDirty.com readers. For now, it appears that Hill's body will remain on display. Scroll down to see the full letters.